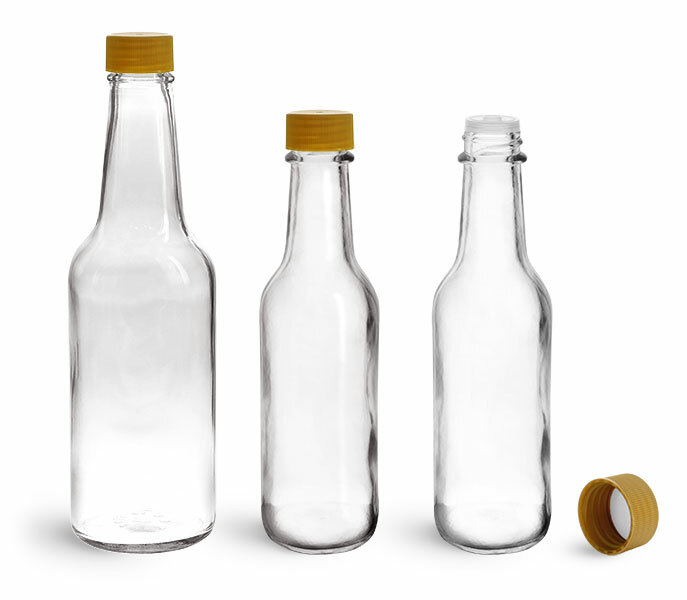 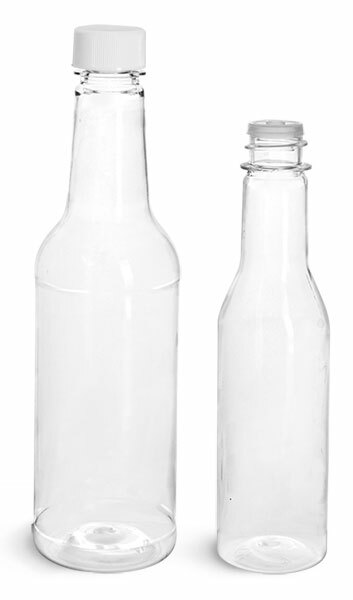 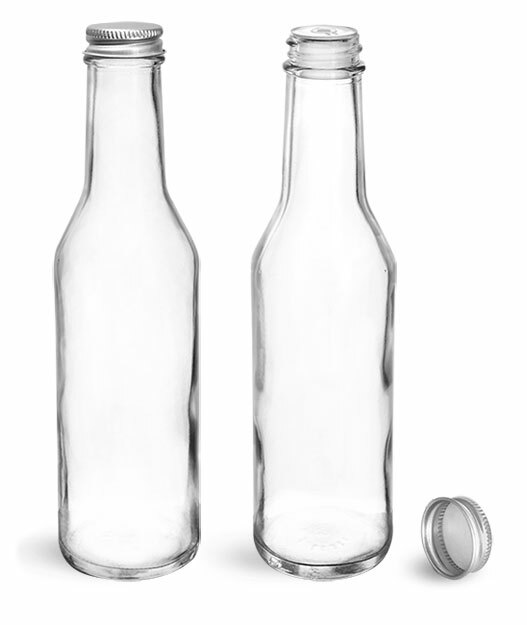 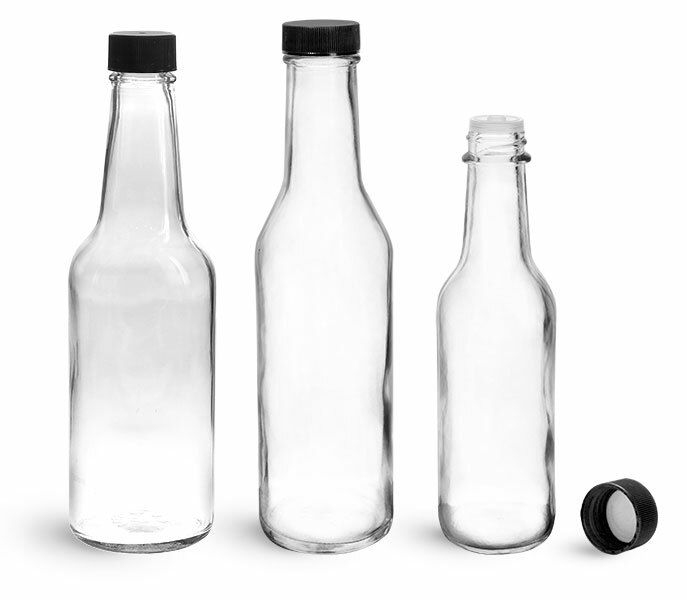 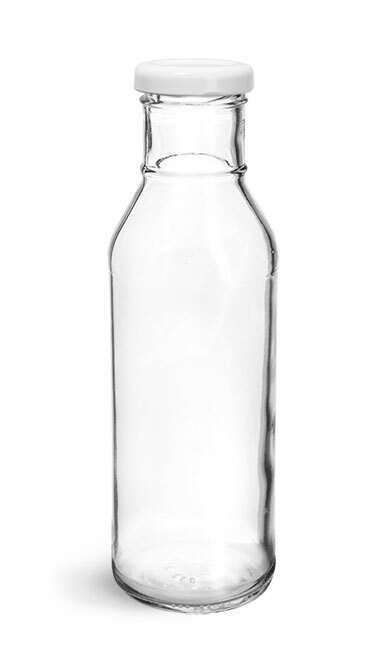 The clear glass woozy bottles are available with white plastic caps. 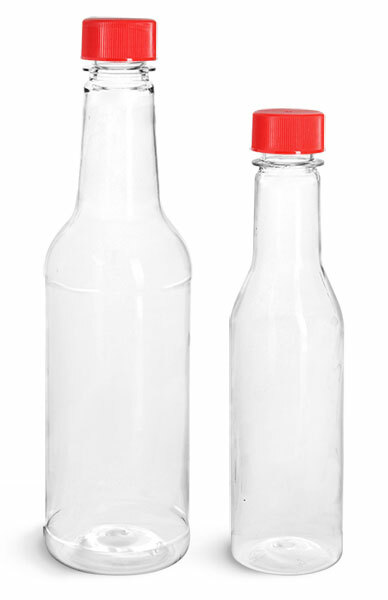 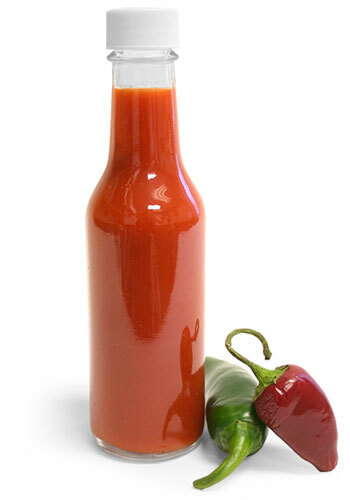 These bottles are may make a great choice for marinades, Worcestershire sauce, hot sauce, dressings and more. 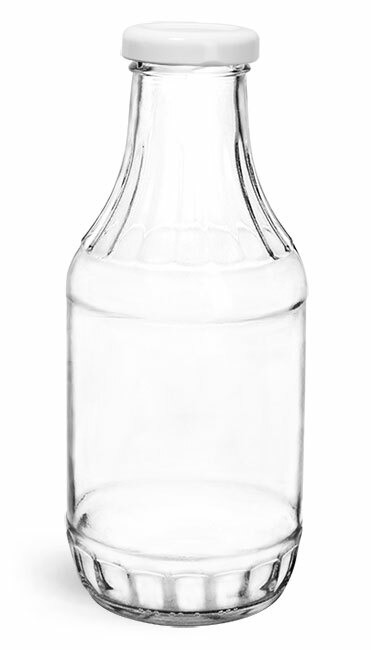 If you are looking to dispense a little at a time, our 5 oz woozy is now available with an orifice reducer.